Small acts of kindness are adding a personalized touch to service recovery as Delta teams worked to restore operations to normal and care for customers following an outage Monday that disrupted the airline’s flight schedule, causing delays and cancellations. Social media, along with insight from employees on the frontline, gave the airline a real-time look at customer frustrations and created an opportunity for a creative approach to service recovery. 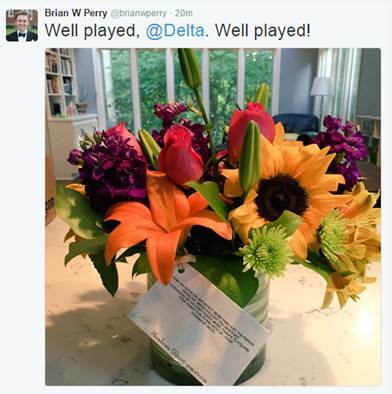 While the airline couldn't respond to everyone, teams were reaching out with a personalized touch when possible. Examples of thoughtful customer service were many. 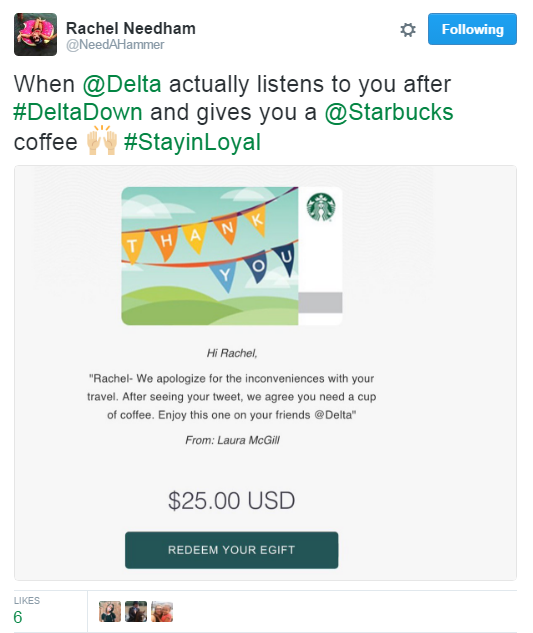 Delta said that while the social media team could not respond to every tweet, these small, thoughtful gestures can help make a difficult situation a bit better for customers.